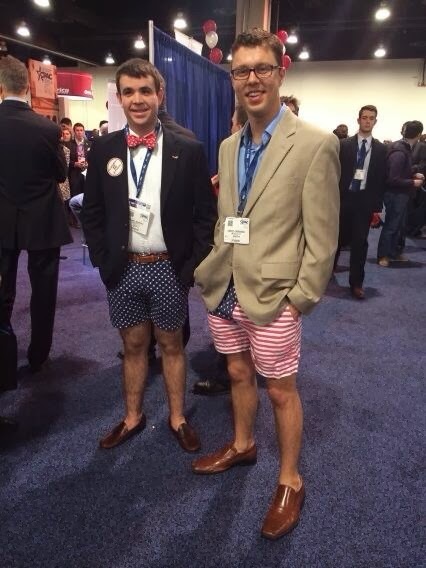 Nope, this is not a fashionista post, or one dedicated to critiquing risque clothing choices, but a tribute to the wacky and wonderful seen at CPAC! People watching is much more fun than speaker watching, here are the best fashion statements I found at CPAC, for better or worse. 1. In 2013, Steve Schmidt said, “Look, this CPAC convention is increasingly the Star Wars bar scene of the conservative movement. I mean all that’s missing at that convention is a couple of Wookiees." H/T to Sam Stein on the pic, I wasn't able to snap one in time before they walked away. I'm sure I missed some classic outfits, but these are ones I personally saw. Let me know if you saw better!